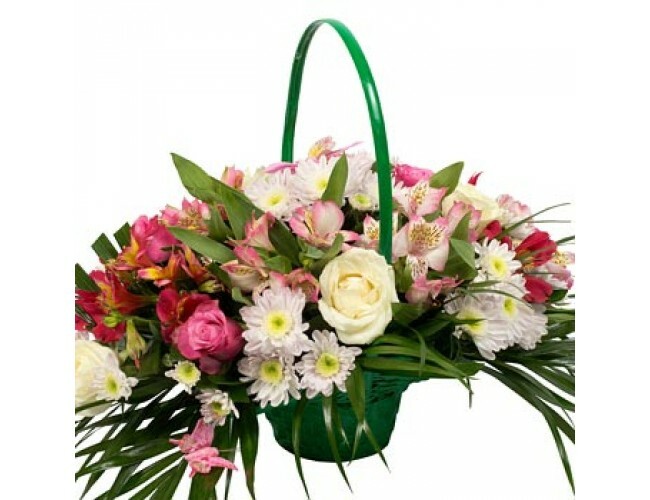 Description of the Basket: Basket of these flowers you can give an active, purposeful people who are in constant motion and the whirlpool of life and people. Beauty, splendor and simplicity give this bright mix of flowers. 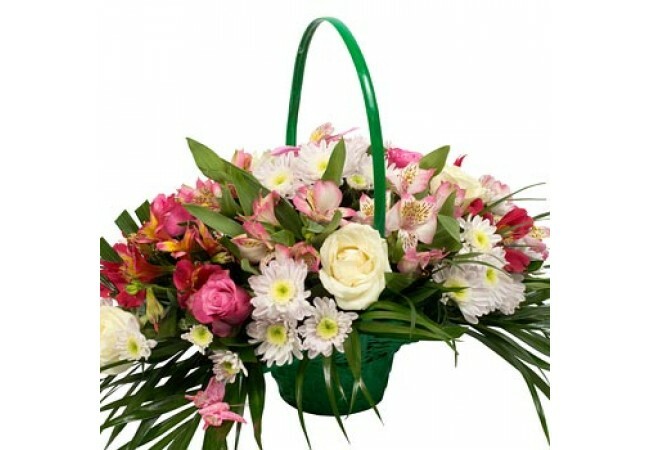 Composition of the Basket: 7 red roses, alstroemeria, daisy сhrysanthemum, greenery, basket. (The basket can be replaced with the same type, in case of absence of this model in stock.